The story says all I want is a house with a white picket fence, well here you are. Covered front porch with flowering shrubs and trees. Foyer entry leads into living room dining room combination. Extra sun room looking out at the huge fenced yard. 5 lots! Large updated kitchen with new in floor heat for those chilly months. 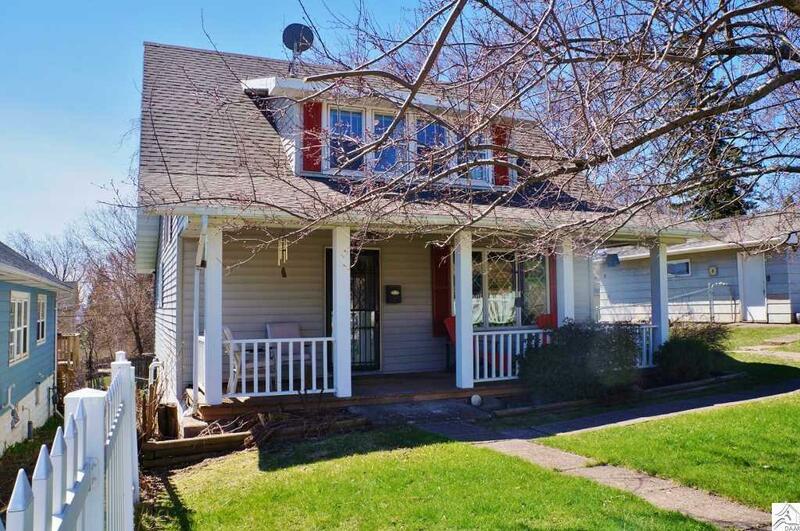 3 upstairs bedrooms with hardwood floors and recently updated bath. Newer roof on house and 2 car garage. New boiler with on demand water heater, walk out basement to back yard patio. Strongly believed to have hardwood floors under main floor carpets. Make your appointment today!